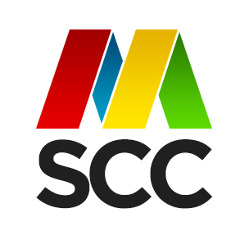 The meetup will be organized by the MSCC and PASS Mauritius. The Internet of Things (IoT) is a system of interconnected devices and sensors collecting data and acting on it. IoT is transforming industries such as agriculture, transportation, healthcare and more. In this session, we going to get an overview of IoT and what it entails. We will introduce the ‘things’, their connectivity and how they are shaping how we work, live and do business. Finally, we will demonstrate how YOU can get started with IoT using Python. In this session, the Azure offerings for IoT will be discussed. Then, a walk-through of an end-to-end scenario using an ESP8266 capturing sensor data live and how this is streamed and processed using Event Hubs and Streaming Analytics and displayed on a real time dashboard in Power BI will be done. You are going to graduate soon or probably graduated from university and you may hold some sort of degree in the field of IT or software engineering. Since then you working your daily job as a professional - either employed or freelancing. Over time you gain knowledge and valuable experience in the tools and programming languages you use. But do you know whether your knowledge and experience is "up to standards"? Or how you would compare to other professionals in the same technology stack? Certifications in the industry can help with that. They are standardized world wide and give you an indicator about yourself. During the session you are going to hear about my experience with various certification exams over the past years, and why a constant, probably daily, learning attitude is essential for your career and personal growth in the field. Lastly, you are going to learn how to stay motivated during the preparation for an exam and how to keep yourself accountable following the #100DaysOfExam approach. PASS is a global community of over 250,000 like-minded data professionals who leverage the Microsoft Data Platform. MSCC is now part of the PASS community through which we shall organize regular meet-ups geared towards data analytics. Are you organizing Big Data, IoT, Python and Microsoft Certifications? Are you an organizer of Big Data, IoT, Python and Microsoft Certifications ?